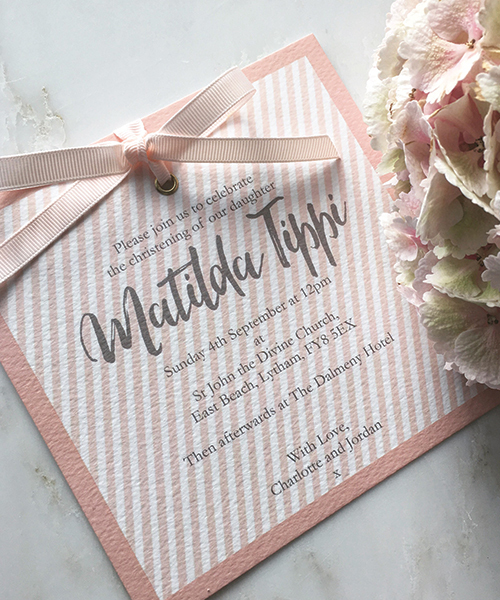 Candy Stripe Invitation with gold eyelet and bow. 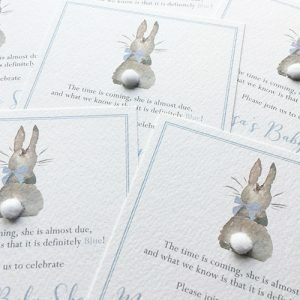 Suitable for Baby Shower, Christening or Children’s Party. Size 148 x 148mm. 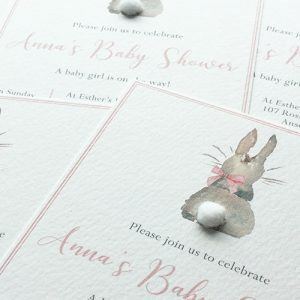 Printed onto luxury 300gsm textured card. White textured envelopes also available. 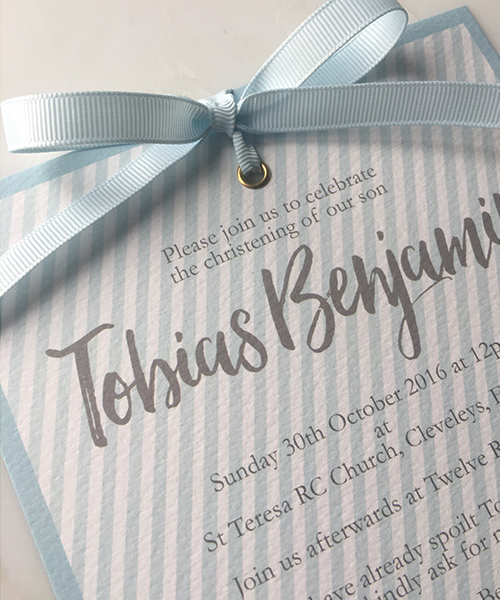 Upon completion of your order, we will email you to confirm the wording you’d like on your invitations. 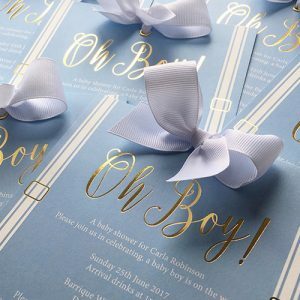 Available in Blush Pink or Baby Blue. 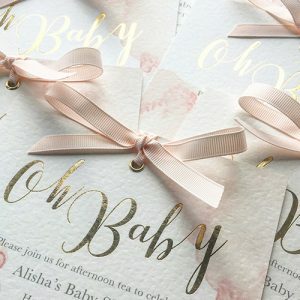 Minimum order quantity of 25 invitations.